A scene from Kizuna’s Nikkei Discovery Camp 2014 at Orange County Buddhist Church. Kizuna, a youth leadership development organization in Little Tokyo, recently began a leadership workshop series with members of the Orange Coast Optimist Club (OCO) basketball organization in Orange County. This five-session series marks the first time Kizuna has brought its programs for developing high school leaders to Orange County. Participants meet the first Sunday of every month to learn about Nikkei cultural values, how to speak up, teamwork, and other important topics for Japanese American youth. Known for its summer programs for Japanese American youth, Kizuna is an organization with a fantastic track record of success. Over 50 percent of all past participants of Kizuna programs have gone on to volunteer, intern, or work for Japanese American organizations throughout the Southland. This year, however, Kizuna is looking past just the summer months, bringing tried-and-true leadership workshops into the school year and out to Orange County. OCO not only has a large basketball program but is also the largest Optimist club in the U.S. and is committed to “bringing out the best in kids,” which makes this partnership such a great fit. Kizuna is working with the club’s Octagon program, a community service and volunteer group for high school age students. The current pilot series for the collaboration is focused on the leaders of each age group within Octagon, and hopes to expand to include more Octagon members in the coming years. The workshops take place once a month at the beautiful Tanaka Farms in Irvine, and so far have covered topics ranging from teamwork and leadership to cultural values and Nikkei identity. Kizuna believes deeply in interaction as the key to student engagement, so recent workshops have had students film and act in short videos, facilitator-led discussions, debates, and team planning projects. Facilitators for these workshops include Kizuna staff, program alumni, board members, and accomplished community leaders. All are hand-selected for each workshop, and most have experience facilitating workshops during their summer programs as well. 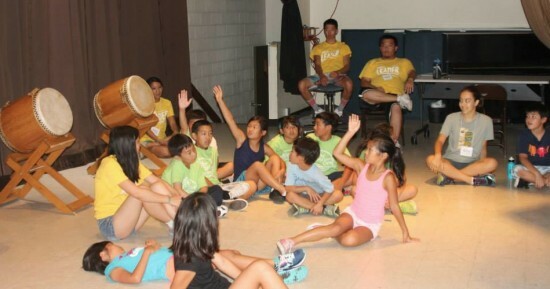 While these programs help bring valuable leadership education to Japanese Americans in Orange County, focus on strengthening summer programs remains strong at Kizuna. Registration for the summer programs, which teach students about leadership and Japanese American history, culture, and community, begins in February. These programs cater to a range of ages, starting with elementary school students and reaching all the way to post-college. or contact the organization at [email protected] or (213) 973-4465. For more information about Orange Coast Optimist Club, visit their website at www.ocoyouth.org.